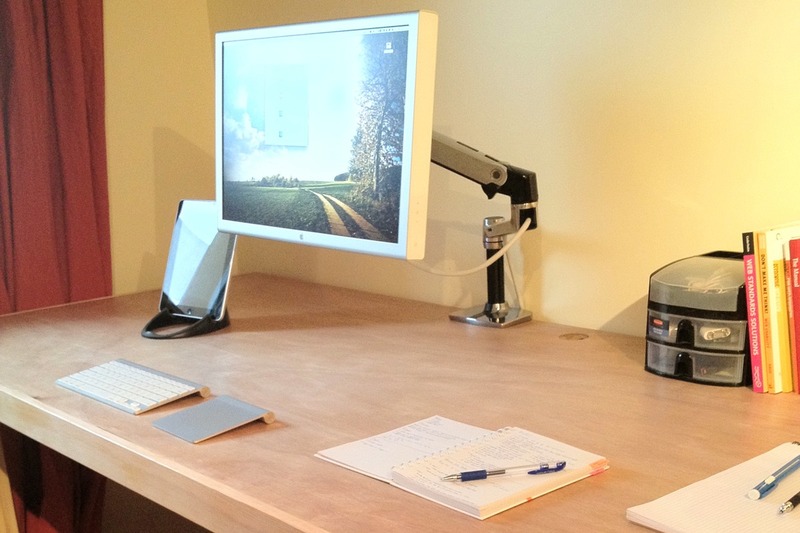 Ben Brooks recently linked to a few folks who've built their own desk, including my own. He mentioned to me that he had looked for a post about the experience and I realized I never wrote one. Here it is (sadly, with poor quality images). I've been using a standing desk for a couple of years now. But each iteration has been a hack of a regular, cheap fiber board desk. This time I wanted real wood and something of a good size. I picked up a solid wood door from a local Ace Hardware for $20. My early calculations were a bit off, simply because I underestimated the weight of the desk and the support required. I eventually settled on 3" legs, as shown below. The legs are further supported by 2 cedar 2by4's, plus an additional 3" post cut in half and used as cross beams. 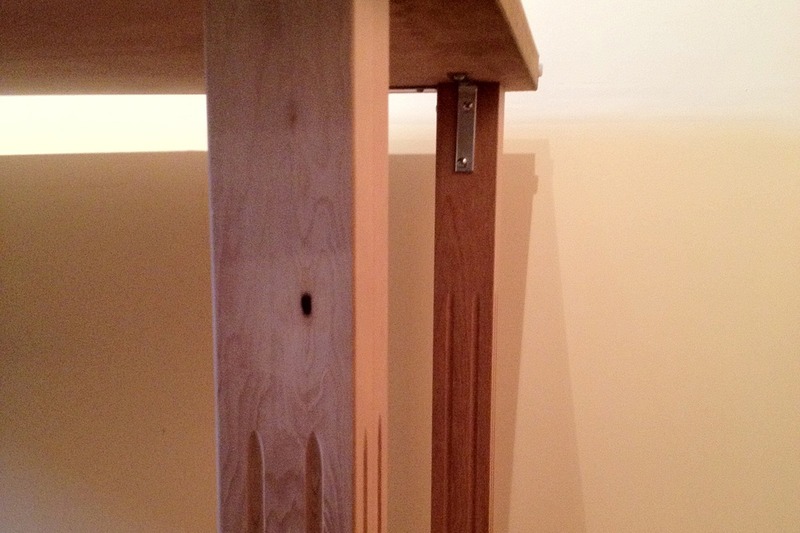 The desk is 81 1/2" wide, 42 1/4" high, and 36 1/4" deep. It weights roughly 150 lbs. The door was a great way to go about this, being pre-drilled with a hole where the doorknob would go. My Ergotron desk arm fit nicely over the hole with just enough space to put the ACD cable through. Which leaves me with a cable free desk (the Air sits under the desk on wooden shelf). It's not perfect. But having a work environment that brings you pleasure is important. And when you built the major piece of furniture in that environment with your own hands, the satisfaction I get is increased greatly. And the good news is that it's not all that hard.